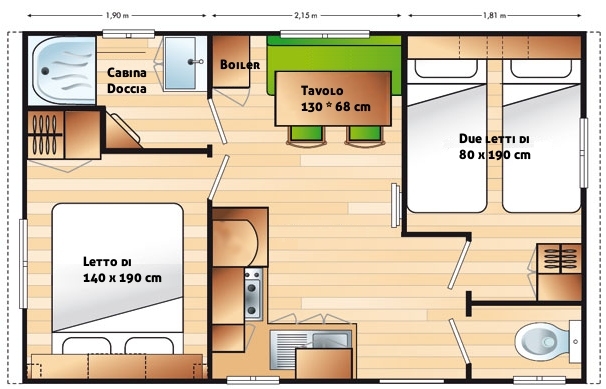 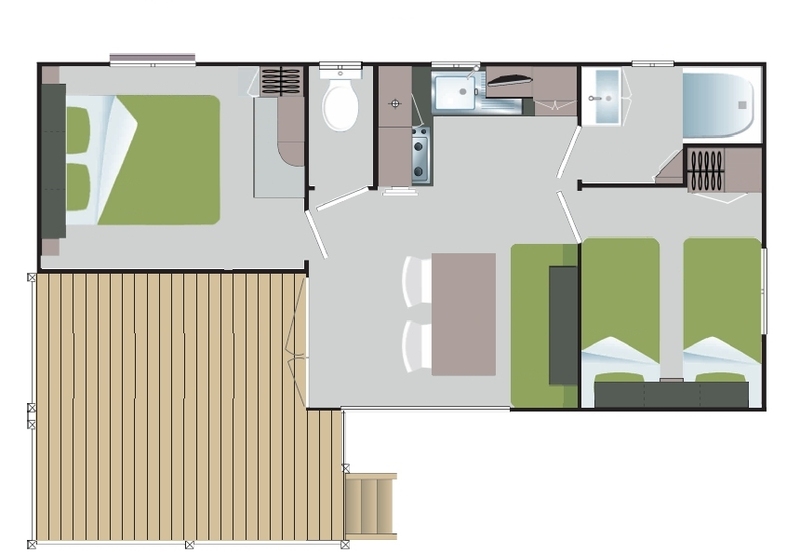 The Venus mobile homes are fully furnished to house up to 4 people + 1 child’s bed (max 160 cm). 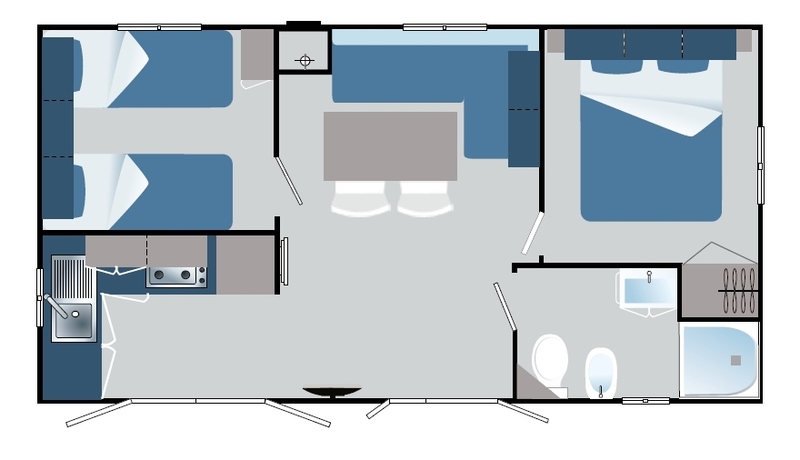 The Odessa Mobile Home is fully furnished to house up to 5 +1 people in two rooms. 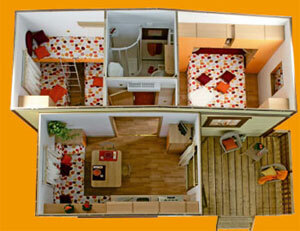 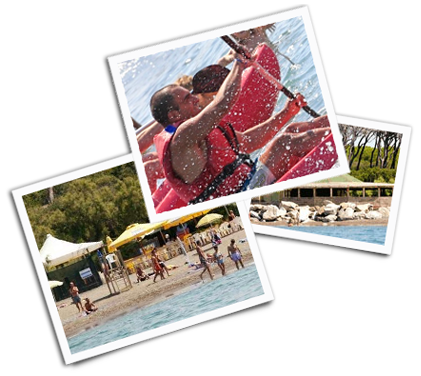 It’s fully furnished to house up to 6 people, with two rooms and 5th and 6th place in a sofa-bed in the living-room. 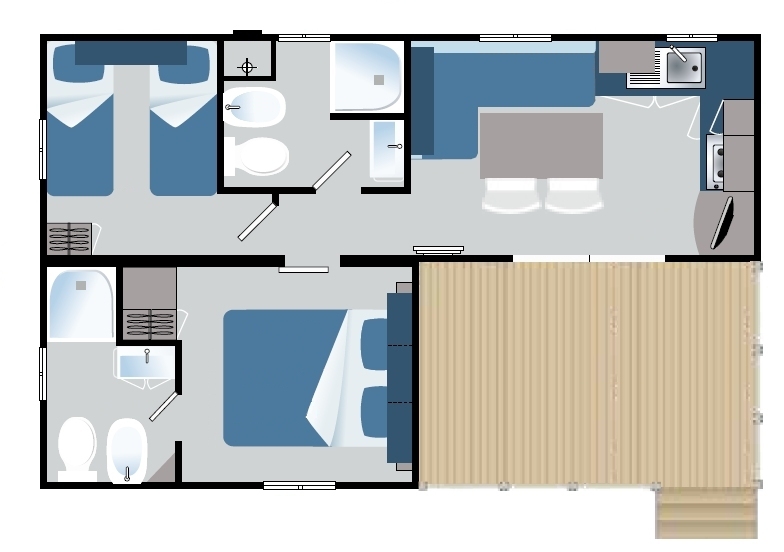 It’s fully furnished to house up to 6 people plus a baby, with two rooms and 5th and 6th place in a sofa-bed in the living-room; place for baby cot in the double room.